Six new series regulars have been announced for Freeform's live-action adaptation of the popular Marvel comic Cloak & Dagger. The show is a coming-of-age series, following Tandy Bowen (a.k.a. Dagger, played by Olivia Holt) and Tyrone Johnson (a.k.a. Cloak, played by Aubrey Joseph), two teenagers from very different backgrounds, who find themselves burdened and awakened to newly acquired superpowers while falling in love. Tandy can emit light daggers and Tyrone has the ability to engulf others in darkness. They quickly learn they are better together than apart—but their feelings for each other make their already complicated world even more challenging. Andrea Roth (Rescue Me, Blue Bloods) as Melissa Bowen, Tandy's mom. Gloria Reuben (ER, Mr. Robot) as Adina Johnson, Tyrone's mother. Miles Mussenden (Bloodline, Queen Sugar) as Tyrone's father, Michael Johnson. Carl Lundstedt (Grey's Anatomy, Conviction) as Liam, a townie who operates as Tandy's partner in crime while moonlighting as her boyfriend. James Saito (Life of Pi) as Dr. Bernard Sanjo, an emotional cornerstone in Tyrone's life. J.D. Evermore (True Detective, The Walking Dead) as Detective Connors, described as "a contradiction of a man embracing an intimidating persona that overcompensates for a secret he keeps close to the vest." 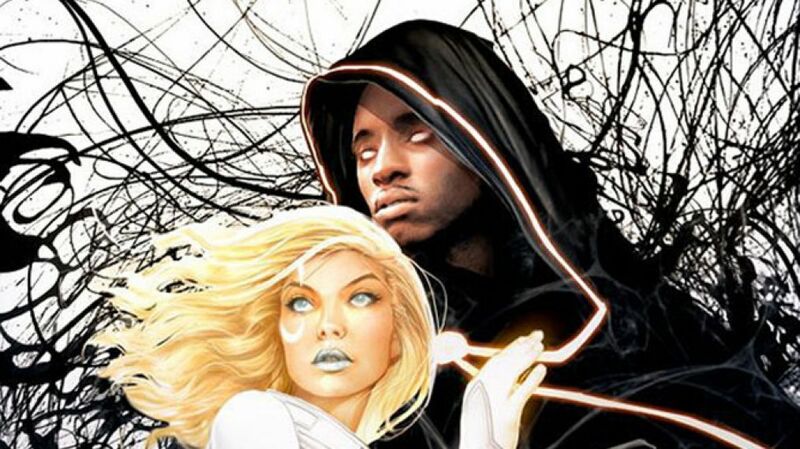 “We’re thrilled to fill out the rest of the talented cast on Marvel’s Cloak & Dagger and join with Olivia Holt and Aubrey Joseph to make a show that fans, new and old, will enjoy,” said Jeph Loeb, head of Marvel Television and executive producer. "We are incredibly excited to be underway on our first Marvel project with such a talented group of actors that really enhance the world that our Cloak & Dagger live in," added Karey Burke, executive vice president, Programming & Development, Freeform. Marvel's Cloak & Dagger is slated to debut on Freeform in 2018.